Consulting firm Fairfax Associates said the increase in merger activity stems from law firms seeking to improve their market position amid heightening competition. Law firms completed a record 56 mergers during the first nine months of 2018, according to consulting firm Fairfax Associates—one-third more than the average number of mergers for the same period over the past 10 years. Discounted billable rates are costing law firms billions in lost profits. They aren't helping clients much, either. How can Big Law move beyond the discount? In a sense, a tie-up with a U.S. firm offers the worst of both worlds. Evaluating dance partners? Assessing a potential threat of a competitor merger? Modeling the impact of lateral hires on performance metrics & rankings? 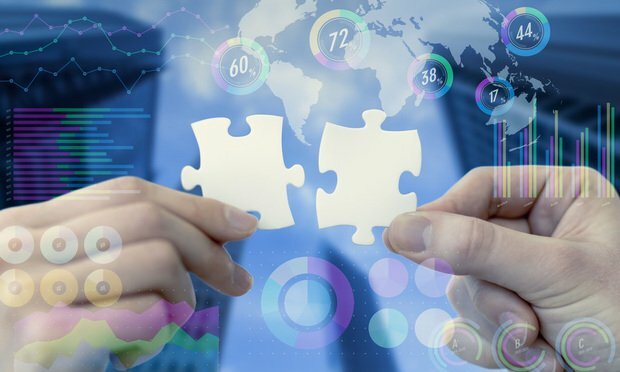 Model a merger between any two Am Law 200 or Global 200 firms, or populate your own data for a customized experience using ALM's Legal Compass.